Pas en Philippines? Choisissez la boutique de votre pays pour voir les livres disponibles à l'achat. Seventeen short stories from NY Times and USA Today bestsellers and award-winning authors that will lure you to the darker side of faerie tales. More Grimm than Disney, in this collection you’ll find twists on Snow White, Hansel & Gretel, Rumpelstilstskin, The Snow Queen, Cinderella, The Pied Piper, Alice in Wonderland, and Red Riding Hood, plus new tales paying homage to the old traditions. Shadows cannot exist without light, however, and you’ll find enough happily ever afters to lift your spirits in this anthology full of magic, curses, adventure, and ultimately the enduring power of true love. FAE HORSE by Anthea Sharp – Faerie bargains can grant any desire, but be careful what you wish for. THE QUEEN OF FROST AND DARKNESS by Christine Pope - Her heart is the only thing colder than a Russian winter…. BONES by Yasmine Galenorn - Sometimes, your most cherished dream can turn out to be a nightmare. DANCE WITH THE DEVIL by Donna Augustine - When the devil makes a deal with a dancer, he gets more than he bargained for. BEAST INSIDE BEAUTY by Danielle Monsch - Happily Ever After ain't guaranteed when Once Upon a Time is here. FAESCORNED by Jenna Elizabeth Johnson - The Morrigan, Celtic goddess of war and strife, must relive a searing memory that reminds her of what she can never have. DRAWN TO THE BRINK by Tara Maya - Sajiana's job is to hunt down monsters brought alive from paintings. She never expected to meet one so handsome... or to need his help. THE VARIANCE COURT by Alexia Purdy - Anna, a struggling college student, discovers a mysterious ring that turns her quiet life chaotic when the ring's magic doesn't do what it's told. THE MORRIGAN by Phaedra Weldon – A young man discovers he has leprechaun blood – and is wanted by dark faerie forces. ALICE by Julia Crane - A twisted tale of Alice and Wonderland. Facing madness and an ominous prophecy, Alice chooses to follow her heart despite knowing her world is about to change forever. STILL RED by Sabrina Locke – When the Hunters come, can there be any escape? Riveting, I was unable to put the book down. 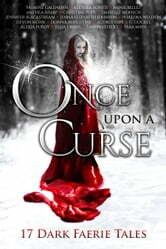 Any lover of the original fairy tales will surely adore the new stories. A modern take with different points of view, is the villain really the villain, is the heroine truly the heroine. I have found quite a few new authors for my reading list. I love when they put together a variety of short stories from authors but then I'm always mad that they are so short. But one thing for sure you are never disappointed as in Alexia Purdy's story The Variance Court Wow! That was a fun and quick read. Well written with laugh out loud moments. Is it a trick or a treat? A random act of kindness from a stranger that doesn't appears to be who he seems turns Ann's life upside down. While her instincts tell her to run far and fast she doesn't. Well a beautiful gift can't be all bad, says you. Read these for yourself a great collection of short stories by a mixture of writers. Made me interested in new authors! Wanted to read more of a couple stories and they are not available. I enjoyed most of these short stories. They were a excellent sampling of these authors work.